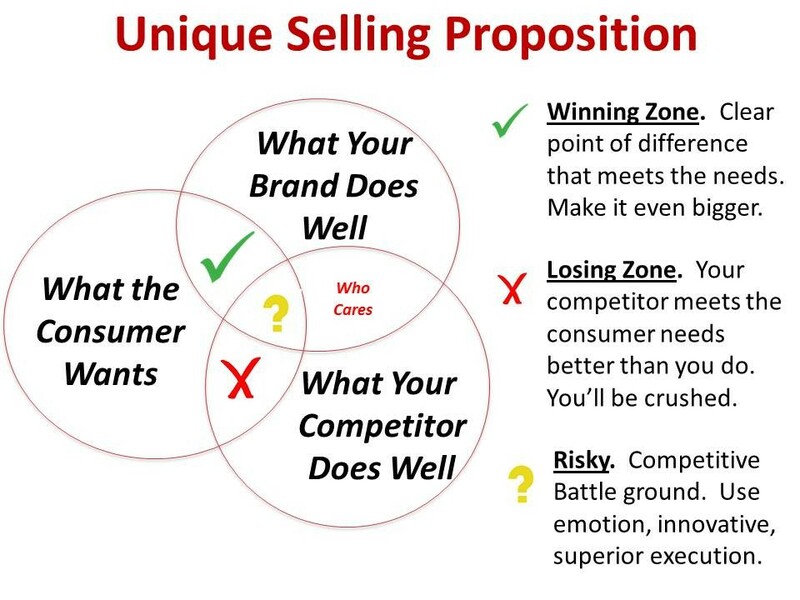 A unique selling proposition (USP), or unique selling position, is a statement that clearly outlines how a business, product or service is different from that of your competition. It identifies what makes a business the better choice, and why the target clients should choose you over the competition. 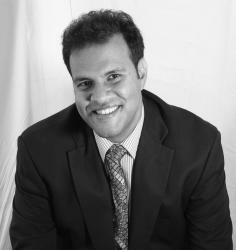 Your USP works as an effective tool to help you focus on your marketing goals. It also aids to verify that every piece of marketing product you create successfully sets you apart from the competition. 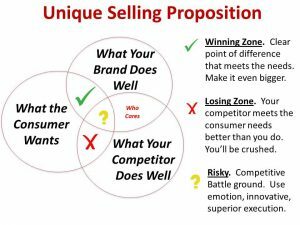 Your unique selling proposition is also an important part of branding your business that will make your business memorable. In order to be remembered in a crowded marketplace, it helps if your business has a trait that’s worth remembering. The first step of writing a USP requires that you take a step back and review some of the basics. These are included in your mission statement, business plan, market analysis, and overall business goals. Have a clear view of your target audience's problem and explain how your product or service solves that problem. For example: a company that sells moving boxes may identify the potential customer's problem as not being able to easily locate the proper containers when they are packing their belongings and preparing to move. 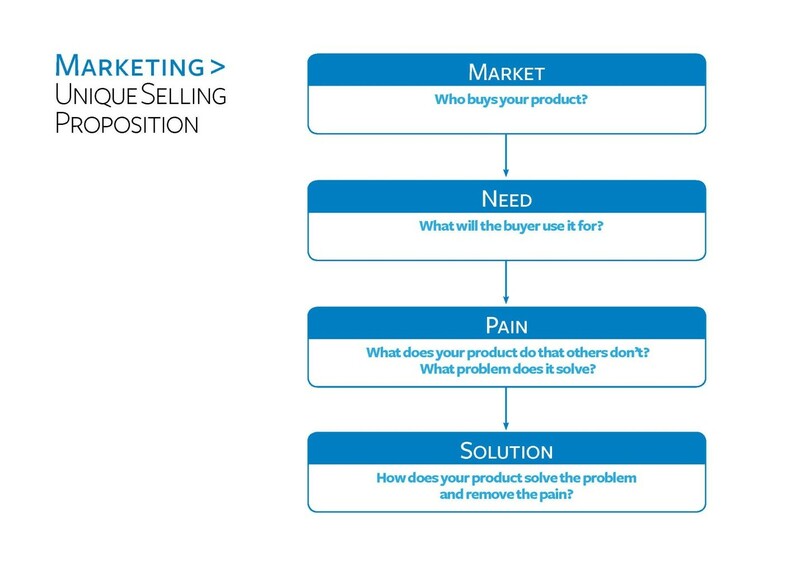 To draft a great unique selling proposition focus on identifying what is about your solution to your customer's problem. This should be different or better than the solution your competition offers. The value you identify here will be one of the primary reasons why your customers will choose you instead of a competitor. This step combines the most important elements of the previous steps into a concise statement. It embodies the value your company has to offer. Keep in mind that your USP essentially implies a promise or a pledge, you are making to your customers. It may seem strange to assess an industry on the basis of personality but certain industries carry an undeserved reputation that distorts how outsiders view them, often for the worse. For example, the search engine optimization (SEO) industry struggles with a strong reputation for being nothing more than a group of spammers who ruin the search experience for others in favor of profits. Always try to leverage your unique selling proposition based on unique traits, which help eventually in the long run. Before you can even start marketing your services, you need to know who you are targeting. In this step, you want to be as specific as possible. 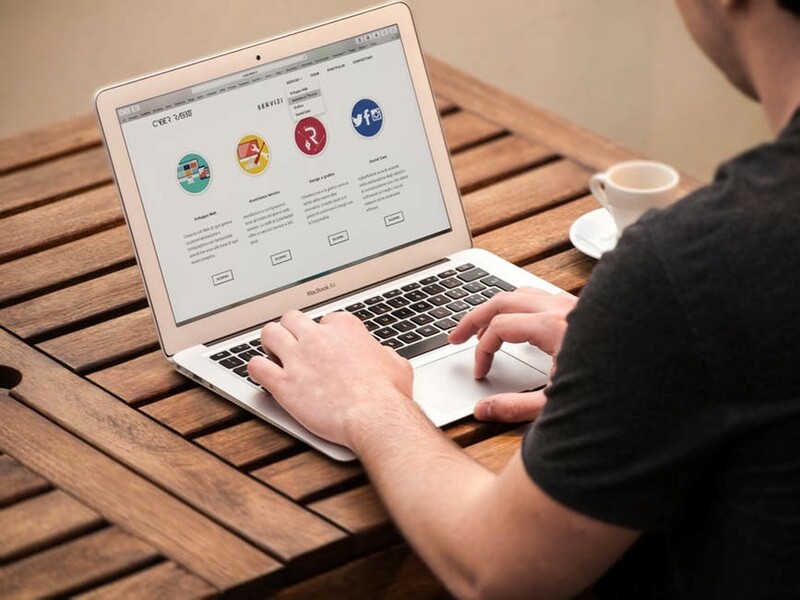 For example, if you are a web developer with a CMS expertise, instead of targeting anyone who needs help building or modifying a CMS, you may identify your target client as a small business owner who is looking for a developer well-versed in MODx to customize his/her site. So, knowing your target audience is very important to draft your selling proposition. Once you have a working unique selling proposition, it's always a good idea to run it by others in your company, or even create a focus group to measure the impact it has. It may take several tries, but once you hit the perfect USP, it can be an integral element of your marketing toolbox.